It's fall ya'll! To me, it's the most wonderful time of the year! It's the time for pumpkin flavored everything! This month I am beyond thrilled to be working with Brooklyn Bean Roastery on one of their seasonal limited edition coffees. The first thing I noticed when opening the packages was...well the packaging! 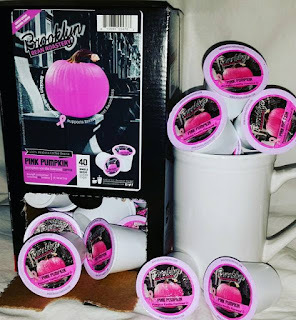 The "pink" in Pink Pumpkin lives up to its word with a beautiful pink pumpkin in support of Breast Cancer Awareness on the box and K-Cups. The coffee itself is a delightful mixture of the flavors pumpkin and vanilla. I love that the flavors are real, nothing artificial about it. It's kinda drinking a fresh slice of pumpkin pie topped with vanilla whipped cream. 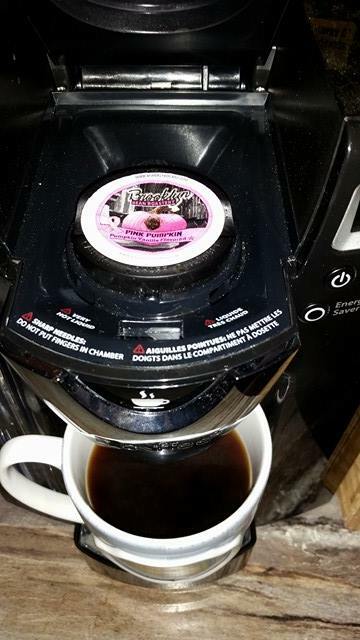 The coffee is lightly flavored, it does not have an overwhelming taste. 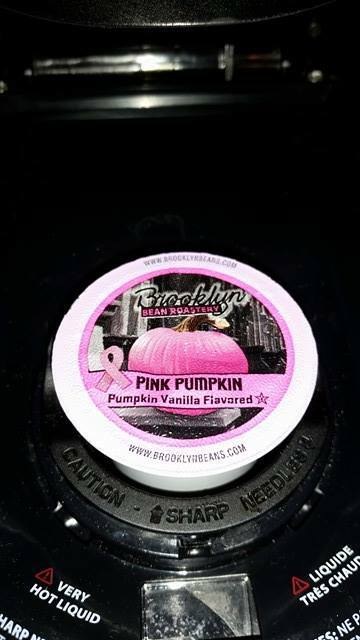 Just it's there, there is a distinct flavor of pumpkin and vanilla. It really lets the flavors of the coffee shine through. This is a mellow coffee that I can drink anytime of the day. It's not a dessert coffee but it will make you long for Thanksgiving. The aroma of the coffee just screams fall. It's warm and rich, you can't help but take a deep breath with every sip you take. 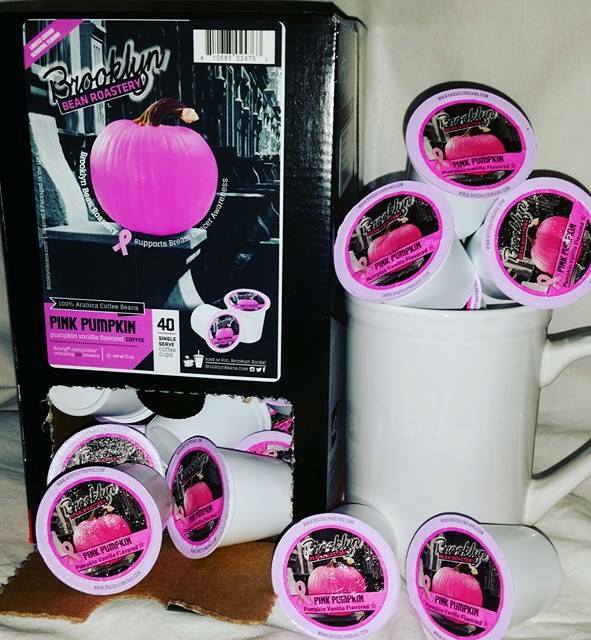 A portion of the proceeds from the sale from PINK Pumpkin coffee limited edition seasonal coffee is going to breast cancer awareness. That's a win-win enjoy an awesome cup of coffee and support a great cause.